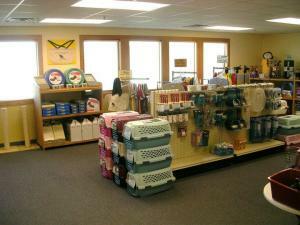 Did you know the Angel’s Wish Pet Adoption and Resource Center has a retail store? Our store hours are the same as the adoption center. Our prices are highly competitive, and all proceeds help us care for our pets. Frequent shopper? Get an Angel’s Wish punchcard, and for every $100 you spend, you receive $10 off your next purchase! *Adoption, microchip, cat trees, and nailtrim services are excluded. Show your support of Angel’s Wish with T Shirts, baseball caps, bags, water bottles, bumper sticker and much more! When you can’t make it to our retail store or are looking for additional logo products, this is your location for everything Angel’s Wish. All orders, customer service, and shipping are handled directly by our friends at Cafe Press. Click here to visit our Cafe Press store. Are you an Amazon shopper? When you go to smile.amazon.com and chose Angel’s Wish as your charity, we receive a percentage of your purchase. Always start your online shopping here, and a portion of your purchase will be donated to Angel’s Wish! Check out the 600+ stores at igive.com. 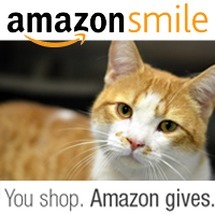 Your online shopping helps homeless pets at no cost to you.